Today’s Panic is a shout out to my mate Big Dave Streeter who introduced me to the Trailer Park Boys show, the Canadian low-budget freak feast mockumentary sitcom thing. Bubble’s one of the main characters and is easily my favourite! 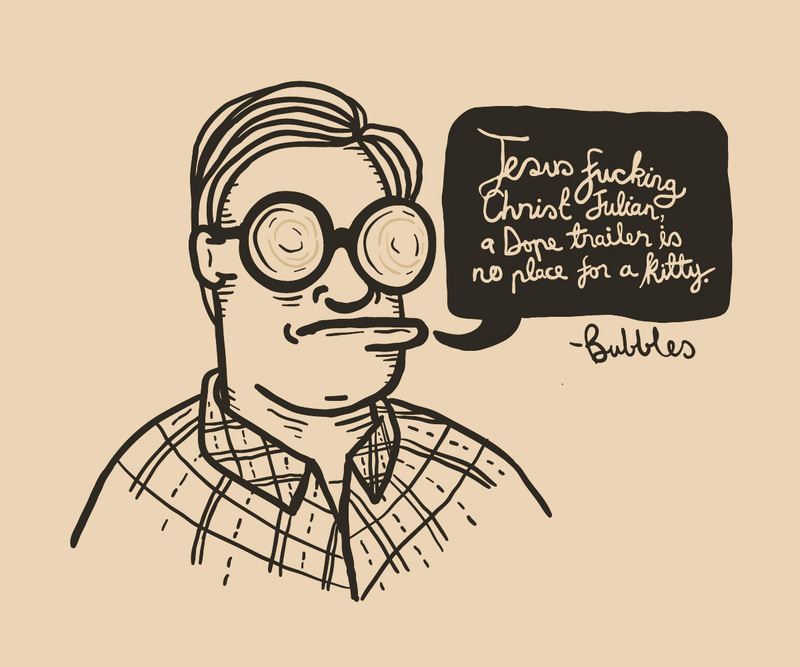 The coke-bottle glasses wearing, cat-lovin’, drop-jawed, Socrates-quoting redneck trailer trash.